Today was such a fantastic day! We started off by taking the shuttle bus system through Zion National Park- and hiked to the Emerald Pools with the kids. We had been avoiding the park shuttle buses at the other National Parks- but I now think this was a big mistake! 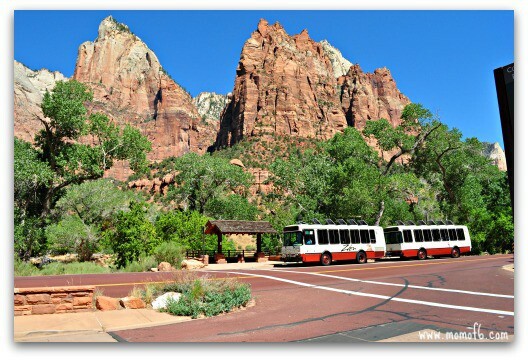 We learned so much about Zion just from listening to the recorded bus tour. 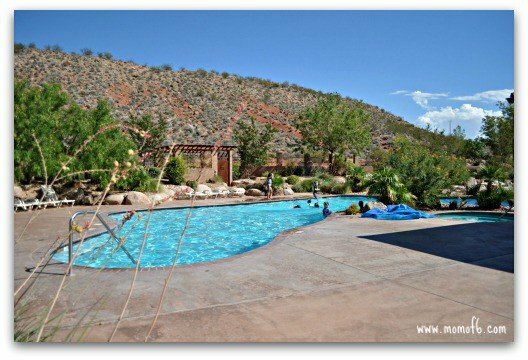 Our next stop was heading over to the St. George, area, and after checking into our amazing 3-bedroom condo at Coral Springs Resort, we spent a few hours enjoying the pool- because the temp outside was 109! And then tonight we went to see a production of “Mary Poppins” at the Tuacahn Ampitheatre– built right against the walls of a magnificent red rock canyon! The show was fantastic- on par with anything I’ve ever seen on Broadway! They ended the show with a huge fireworks celebration set to music to honor Utah’s “Pioneer Day” holiday- a day that remembers the men, women, and children who first settled in Utah. Have you ever been to a broadway-style show at an outdoor amphitheater?